I was wondering, what exercises do you do? What is your regiment with band work? Weight, tension, supply details, repetition, how long do you hold, how often, etc. I have a 6 day-a-week training schedule including weight training, shooting, walking, aerobic and Pilates. My training schedule varies depending on the time of year. Sometimes I use a rowing machine or weights however I no longer add weight. Do not want to add mass; just lean strong muscles. I use bands for warm-up EVERY time I shoot. I shoot about 150-200 arrows a day. However I thought I would answer the question in more detail and discuss the importance of training at your level. A training plan for any athlete is developed in conjunction with the athlete, their short and long-term goals and their current physical abilities and limitations. Before developing a training plan, you need to ask yourself, “What do I want out of archery?”, since the answer will dictate how you proceed. Personally, until 2010 I practiced with a training plan fit for an intermediate level archer. In 2010, prior to the 2011 Canada Games, I met with my coach and expressed my desire to go to the games and compete. She developed a plan that increased the number of arrows progressively, weight training without mass gain and developed a higher level of core muscles. Although at the time, it seemed like a lot, my coach explained that if that was my goal that is what it would take to get there, and she was right. Every level of competitive sports has a new level of commitment. Sometimes you need to make sacrifices to achieve your goals. If you are planning on practicing only in classes and expecting to be a world champion, you are sorely mistaken. For two straight years, I had a limited social life outside of the sport and the friends I had there. My basic schedule included, taking into account time for studying, tournament schedules and travel. Core muscle development one-day a week including weight training and Pilates. 1-2 days of cardiovascular including walking, jogging or biking. 20-30 minutes with a continuous high-heart rate. Shooting 150-200 arrows 3-5 days a week. One day a week I rested. My six-day a week plan was tailored specifically for me and became more involved and more difficult as the shooting season progressed. It was made this way because I wanted it to be and therefore I stuck to the plan and attained my goals. Remember my plan will probably not work for you, mainly because my strengths, limitations, and goals differ. 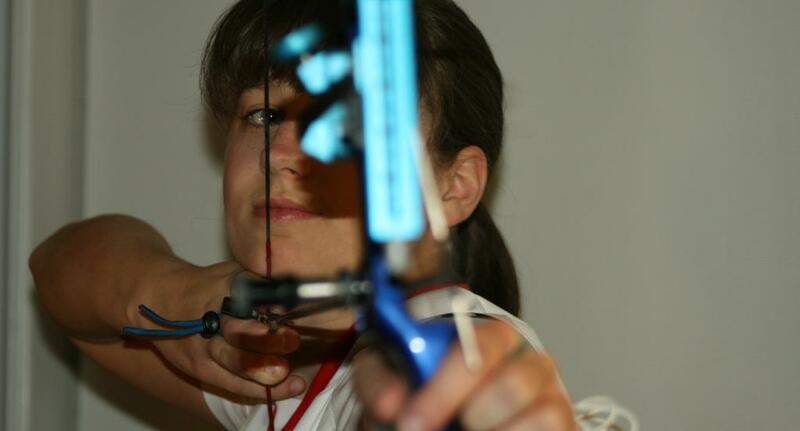 If you are ready to take it to the next level in archery or any sport, seek out a trained and qualified coach. Work together with your coach to understand where you want to go and together develop a plan on how to get you there.